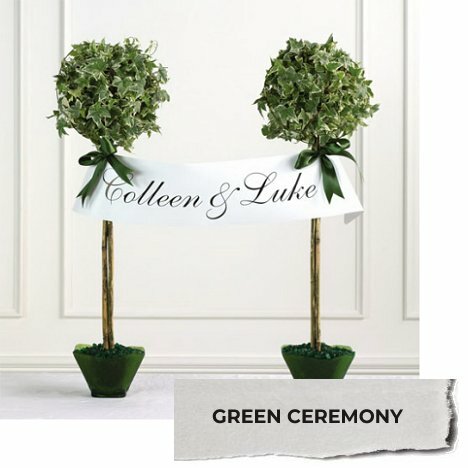 Green wedding flowers can compliment a mixed color palette or stand on it's own with different shades of color, from deep emerald green to a bright lime green! Don't be afraid to add fruit or vegetables to your flower collection. 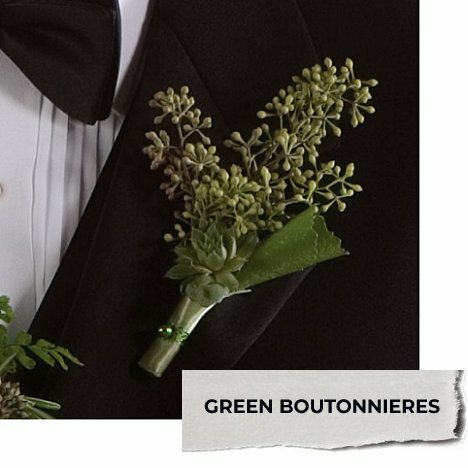 As you can see, bright green apples make a lovely addition to the wedding cake table above. 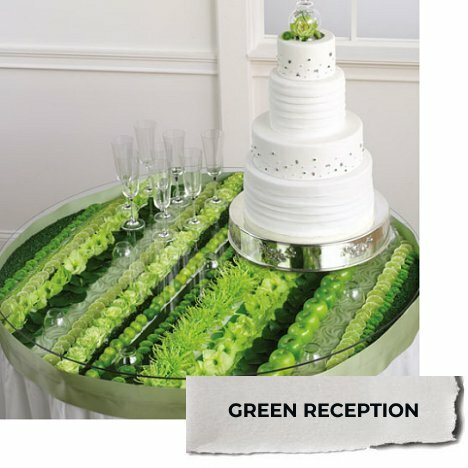 Consider adding slices of limes to centerpieces, decorative artichokes to bouquets, asparagus surrounding cylinder vases plus many other unusual displays that can include green pears, peppers and broccoli! In the flower varieties, spider mums, roses, gladiolus, decorative kale, bells of ireland, button mums and hydrangeas are all available in varying shades of that delightful color. 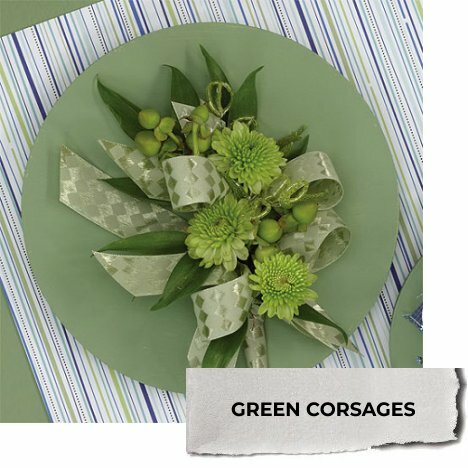 Be sure to check out all bouquets, large florals and centerpieces for the STYLE you like best. Don't merely look at color, as almost any design style can be redone in the shades of color you like. I always caution my brides to enlist the help of others if she plans to make her own wedding flowers. You need to prep your working space ahead of time and have everything ready to go when the flowers land on the doorstep. That means setting up tables (near a water source if possible) washing out the buckets and filling them, laying down a tarp to protect flooring and gather a source of varying sized vases (obtained at dollar stores or thrift stores) to be used in storing cut flowers and for ease in designing. 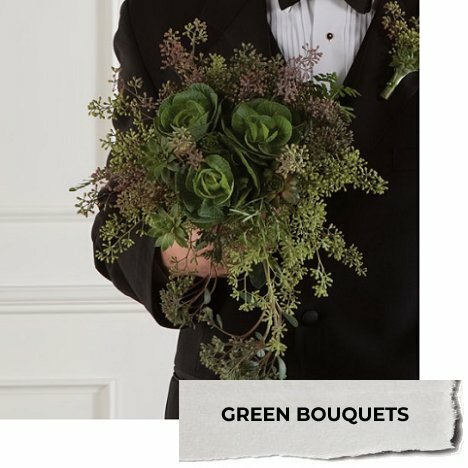 I have step by step tutorials regarding flower design, including all the popular bouquet styles, tabletop centerpieces, bridal tables as well as outdoor decorations. Do some of the projects out of joy and some to save money. Delegate some of the most time consuming projects if you don't have enough time to do it all. The important part is to enjoy yourself, not stress yourself out by taking on way more than you can handle.